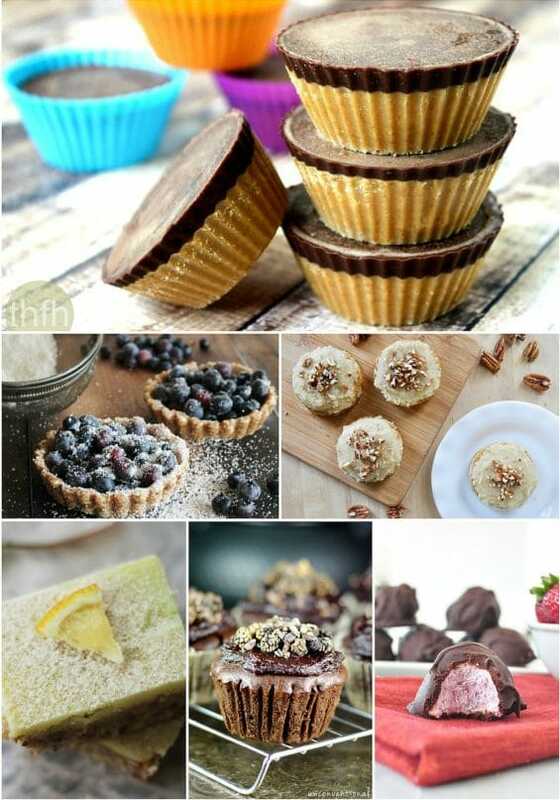 So, you’ve decided it’s time to pack on the pounds, and you’re looking for the best product to help you do it. 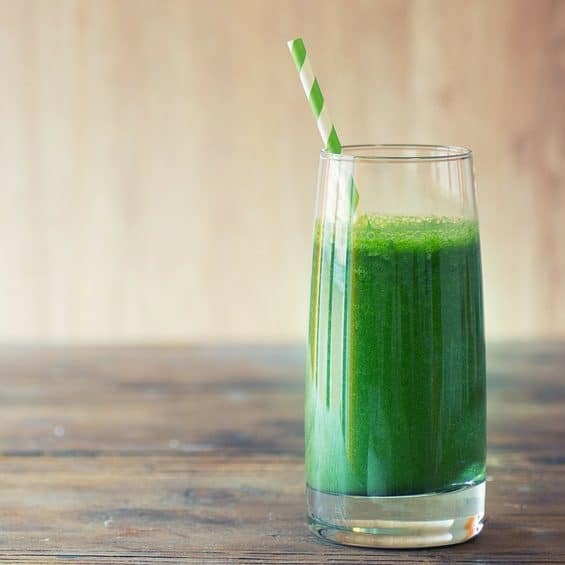 While it’s true several pints of ice cream might be the tastiest option to get your weight up, we’re talking more along the lines of healthy weight. Weight that helps you burn off those pints of ice cream in record time. It turns out these handy pieces of fabric – stuffed with either sand, iron, or gel weights – are one of the best pieces of equipment you can own to take your bodyweight and cardio workouts to the next level. The benefits of wearing a weighted vest during your workouts is similar to the effects you see from resistance training. However, with a vest the added weight is continuous, which results in your muscles and cardiovascular system having to work harder to maintain your new, heavier weight during your workout. 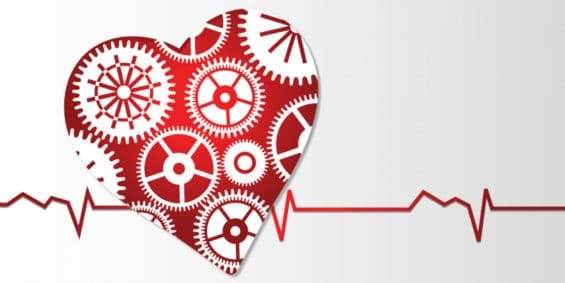 This equals a higher metabolic cost (the fancy term for increased energy expenditure, or more calories burned), increased fat burn, a stronger heart and lungs, and even greater bone density. Now, let me be clear that you don’t need to be part of an elite military squad or the Wolverine to start sporting a vest at the gym. In fact, some of the best vests out there are weight adjustable and compact, so you don’t have to run around in a huge, bulky camo vest if that’s not your style. Below is a list of the top 8 options, some tactical and military-style, and some discreet. The 5.11 Tactical Plate Carrier Vest from Rogue Fitness shines when it comes to a comfortable fit and durability. 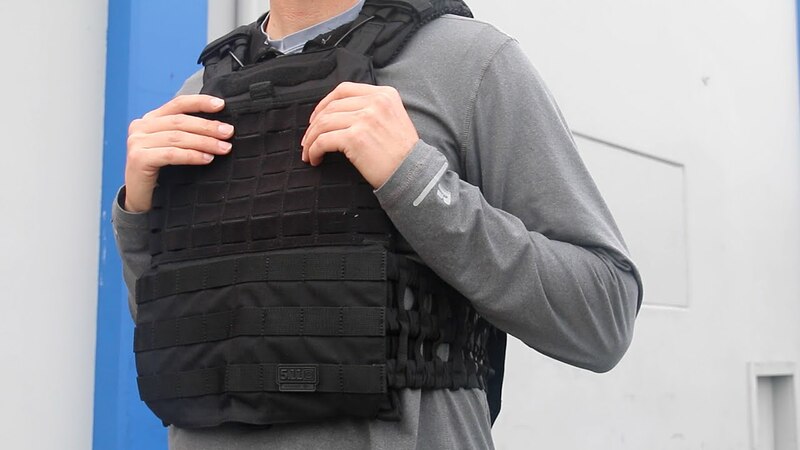 Like its name suggests, the 5.11 is designed to simulate the feel of a tactical vest, using flat plates, shoulder pads, and airflow channels to give you ultimate maneuverability and breathability. 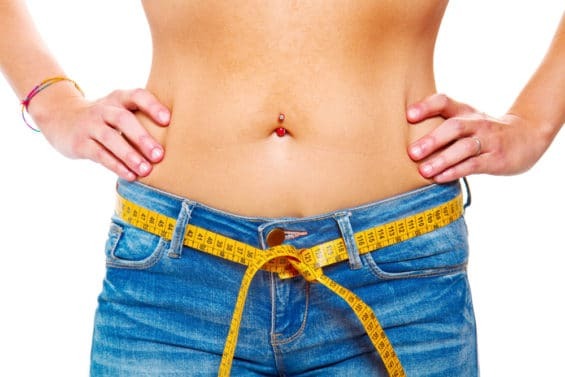 These aspects make the 5.11 excellent for all types of bodyweight and cardio exercises, as it’s designed to feel less like a weight and more like an extension of you. The vest itself is 2.5 pounds, but comes preloaded with 14-pound plates for the women’s vest and 20-pound plates for the men’s version. You can also purchase extra plates to increase weight as you get stronger. Additional specifications: It’s made of water-resistant and abrasion-resistant material, has adjustable weight and tension bands, and yoke shoulder pads for even weight distribution. One thing to note. Some users have mentioned that the 5.11 wouldn’t be the best choice for inversion exercises (like handstand pushups) due to the waist band being too lax. The Empower Women’s Weighted Vest is excellent for beginners looking to add a small amount of weight to bodyweight and high-intensity interval training (HIIT) workouts for a fat-burning boost. 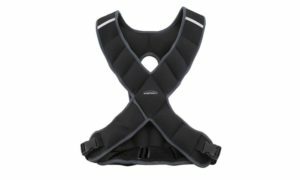 At 8 pounds, this X-shaped vest is weighted with sandbags and comes with adjustable straps that give you as snug a fit as you like. 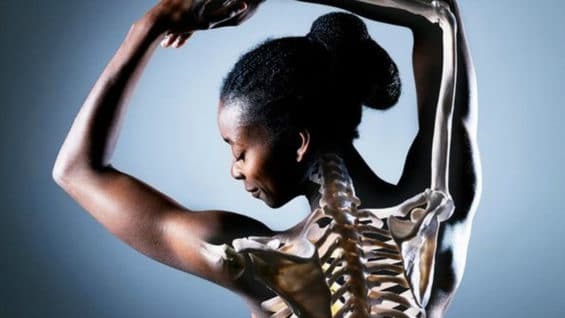 Not to mention, the shape is also perfect for the female body, as you’re avoiding heavy metal plates that might uncomfortably compress you chest. As a bonus, the Empower vest also has a small cellphone/key holder pocket, giving you extra storage, which is great if you’re using it during your runs. One thing to note: The Empower vest doesn’t allow you to add additional weights. However, it makes a great first-timer vest, especially for those looking to try out a vest before making a bigger purchase. The Cross101 is one of the best affordable vests for bodyweight workouts. It also uses sandbags for weight, which allows it to mold to your body in a way metal plates don’t. Another great feature is that Cross101 is the fact it’s one-size-fits-all, and it’s only 13- by 15-inches in length. This considerably lessens any “bulkiness” usually associated with weighted vests. One thing to note: Cross101 is not recommended for jogging, since it lacks padding around the shoulder area. 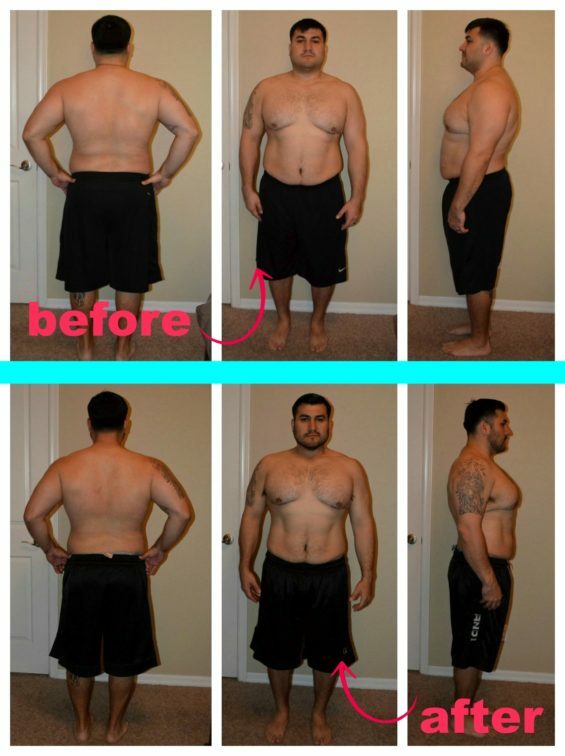 Reviews have mentioned it shines in adding weight to exercises like pushups, pull-ups, and lunges. 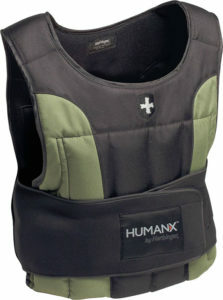 The HumanX Weight Vest is one of the best when it comes to a snug, no-bounce fit. It uses a patent-pending technology called FLEX technology that contours the weights to your body, and also has adjustable shoulder straps and an adjustable waist strap, so you can find your ideal fit. The HumanX vest size is universal, and comes in your choice of 10-pound, 20-pound, and 40-pound options, with the ability to adjust the weight in 1-pound increments. The material is also stretchy (giving you even more adjustability), odor resistant, and easy to wash. It’s great for both running and bodyweight workouts, making it an all-around flexible option for both men and women. Raptor Weight Vests are considered “elite-style” vests (as you can see from the price tag) that are used by military units and personnel worldwide. 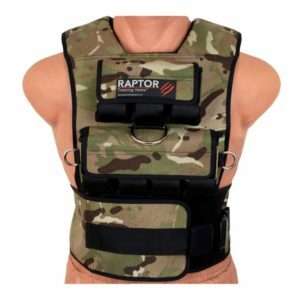 Their most affordable vest, the Raptor TFS15 Valkyrie Weight Vest, is for the serious athletes out there looking to make an investment in a vest that will last and not lack. In other words, if you’re an absolute beginner, you might want to experiment with a more affordable option before going all-out on a Raptor vest. If you are ready for a raptor, however, you’ll be delighted with its features. The vest itself weighs 35 pounds and uses 12 cast-iron weights. It is double-layered and double-stitched for ultimate durability, and also comes with a CoolMax performance inner liner that wicks away moisture. The Valkyrie also has a Velcro waist strap along with a tactical buckle as a double security layer to keep it from moving or bouncing. Another cool feature of the Raptor vests is their ability to double as a towing harness. Their stress points and attachment rings are ultra-reinforced, allowing you to attach and pull tires, sleds, cars, and even Bungee-jumping cords. Add ons: Tow straps, Bungee anchor-training bands, red and green glow sticks, and comfort running pads. 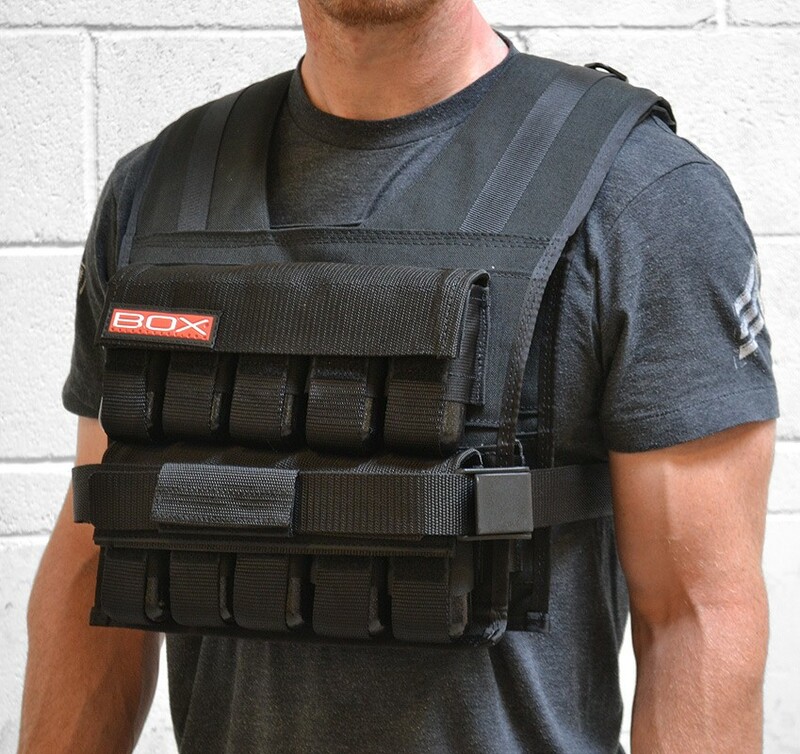 BOX vests, often used in CrossFit, are another great option for use in running and bodyweight exercises. They are extremely versatile and adjustable, featuring “quick-adjust” clamp belt systems with military-grade webbing and a one-size-fits-all fit. BOX vests also feature a narrow shoulder fit, which gives you a wider range of motion for overhead and forward arm movements, such as pull-ups, climbing, chopping, and dragging. 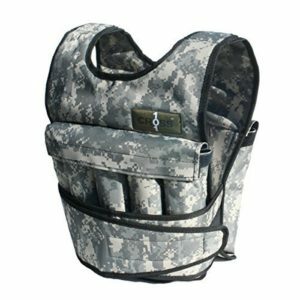 The vests are fully padded, moisture resistant, and compact. Its weights are cast iron and can be added in 2.5-pound increments. Weight options range from 20 pounds all the way to 100 pounds, making them great for intermediate to advanced gym-goers. 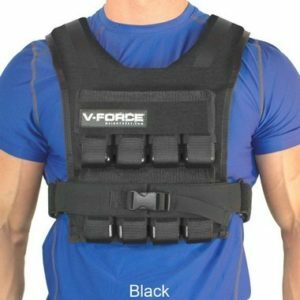 The V-Force Weight Vest is unique in that it contains two options: a wide shoulder design that’s great for plyometrics and running, or a narrow shoulder design great for bodyweight workouts featuring a lot of upper-body movements. All adjustment straps, stress points, and inner padding are reinforced, so you don’t have to worry about tearing or wearing. The V-Force is also a short vest that keeps weight off your stomach, improving maneuverability and core work. You can add weights in 2.5-pound increments and also clip on hydration packs (up to 50 ounces) and/or night reflection bands for visibility. The V-Force is one of the more affordable tactical-style vests, somewhere between the Cross101 and the Raptor vests. So if you’re looking for a little more military style without the $300 price tag, this just might be the vest for you. This option is a little bonus for you, since it’s technically not a weighted vest. Titin Hyper Gravity Weight Compression Shorts are exactly as they’re described: weighted shorts. 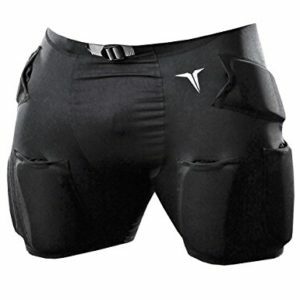 Titin shorts can be used as standalone weighted shorts or worn with a vest. They carry an additional 4.5 pounds, and focus weight on your hamstrings, thighs, and glutes. They are compression shorts, so the fit will be snug, making them ideal for jogging as well as bodyweight workouts. 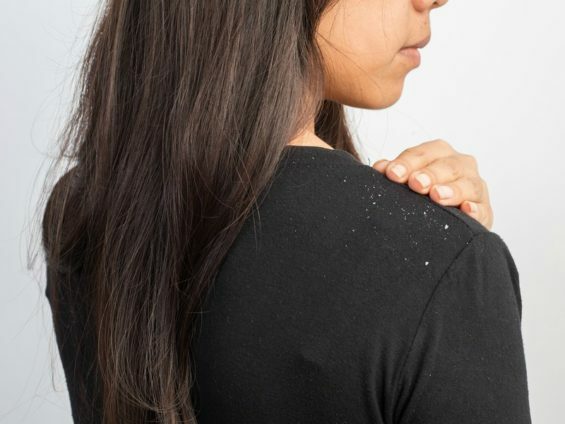 The fabric is also moisture wicking and antimicrobial, so you’ll feel extra fresh while wearing them as well. As a bonus, the gel inserts in these shorts (and their weighted shirts as well) can be heated or cooled for muscle repair. As you can see, your options for a weighted vest are virtually limitless. If you’re new to weighted vests and just want to give one a try, I would definitely recommend choosing either the Cross101, HumanX, or the Empower Women’s for a lighter option. 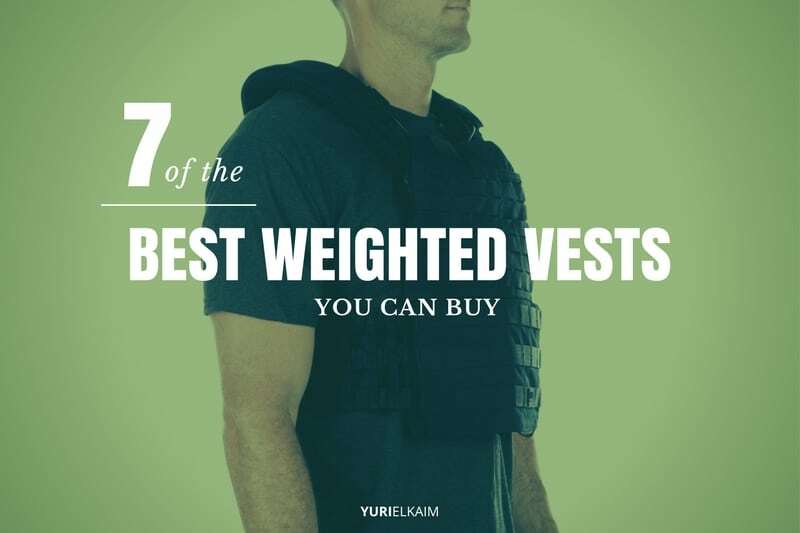 Otherwise, go big with one of tactical vest options on this list. Either way, adding any kind of weight to your body during your workout will result in increased energy expenditure (aka: fat burn! 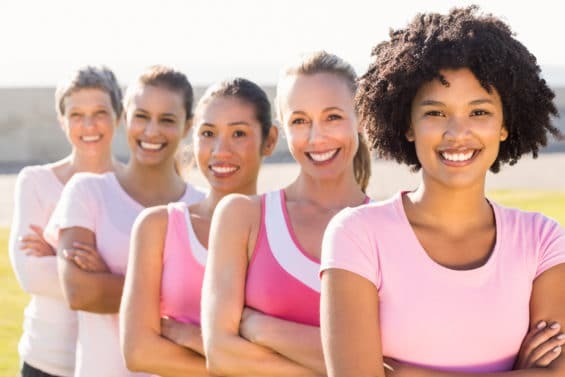 ), a more intense cardio workout, increased muscle building, and even improvements in bone strength and density. Looking to up the ante of your next workout? Try my Fat Blaster Workout, which is designed to (you guessed it!) 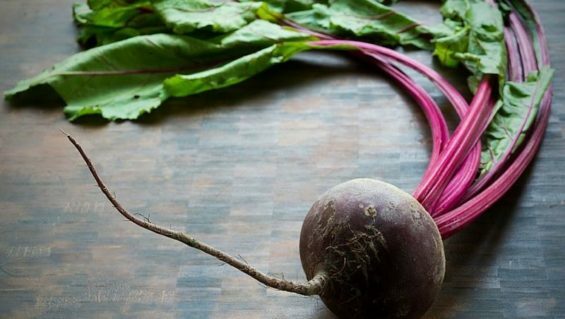 challenge your fitness, burn fat, and rev your metabolism. It includes an instructional video, workout tracker, and follow-along audio. A $29 value – it’s yours for FREE! Just click the image below to download it now!